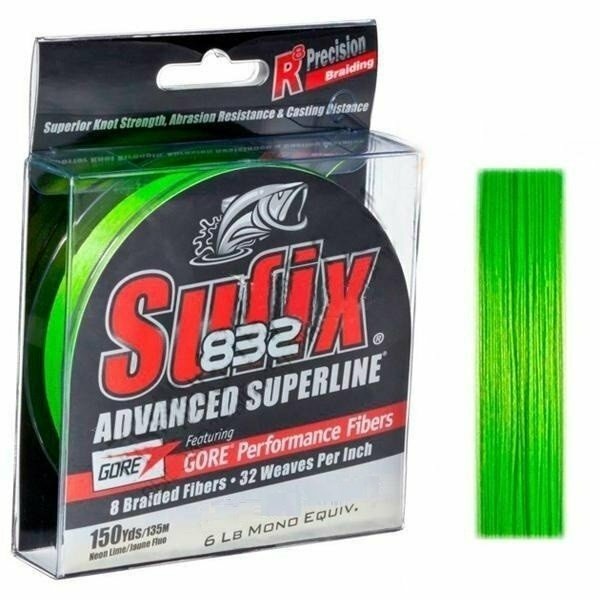 Sufix 832® Advanced Superline Neon Lime is the strongest, most durable small diameter braid on the market. R8 Precision Braiding and fiber technology provides superior strength, roundness and line consistency. The 832 Advanced Superline has 8 fibers (7 HMPE fibers plus 1 GORE Performance Fiber) and 32 weaves (pics) per inch. GORE Performance Fibers improve abrasion resistance, increase casting distance & accuracy and reduce line vibration. HMPE fibers provide high strength & sensitivity, hydrophobic water-repellent protection and small diameter. If you fishing in depth or up against snag then this is the braid for you.